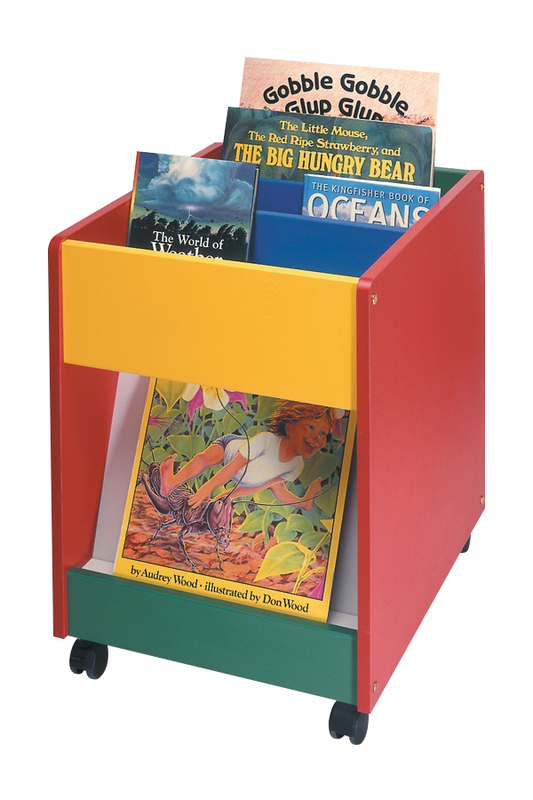 The Big Book Mobile Kinderbox has 3 compartments of varying depths for storing of books of all sizes plus an open display panel to one side. This compact unit is on castors, one of which is lockable for additional safety. Constructed from 18/19mm melamine-faced particleboard with PVC edges, it is available in a selection of 12 colours. Ideal children's book storage for nurseries, schools and libraries. We have a large range of kinderboxes and book storage options. For more information please Contact Us or call us on 01733 511121.